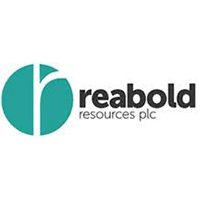 Reabold Resources Plc (LON: RBD) has today announced that a binding Heads of Agreement has been signed between Danube Petroleum Limited’s 100 per cent. owned subsidiary, ADX Energy Panonia Srl, and Parta Energy Pty Ltd, an Australian private company to fund a planned US$1.5 million seismic programme on Danube’s Parta Exploration Licence onshore Romania. Completion of the planned US$1.5 million seismic programme will earn the Farminee a 50 per cent. interest in the Licence. Danube currently holds a 100 per cent. interest in the Licence, following the withdrawal of previous partner Rohöl-Aufsuchungs Aktiengesellschaft RAG (“RAG”) 31 March 2019 and, following completion of the Farm-In, Danube will again have a 50 per cent. interest in the Licence. The Farm-In excludes the Parta Appraisal Programme Area, in which Danube has a 100 per cent. interest, and expects to drill the IM-1 appraisal well in Q2 2019, as announced on 19 March 2019. The Farminee is a company formed to undertake exploration in Romania, with guaranteed financial support to undertake its Farm-In obligations. The agreement is conditional on finalisation of a joint operating agreement and the extension of the Licence for a further two years. Reabold has a 33 per cent. shareholding in Danube Petroleum, with ADX Energy Ltd holding the remaining 67 per cent. The Farminee will fund the first US$1.5 million of expenditure, for the acquisition of approximately 100 km2 of 3D seismic to earn a 50 per cent. participating interest in the Licence. ADX expects all Farm-In funding conditions to be met by the end of June 2019 and will commence planning the seismic programme during Q3 2019, with a view to seismic acquisition occurring during Q4 2019. ADX has previously acquired approximately 100km of 2D seismic and 50km2 of 3D seismic, and has licenced (with landowners) an area of approximately 200km2 for future 3D seismic acquisition within the Licence. The Parta Exploration Licence activities are intended to provide low risk, high reward exploration follow up drilling locations for Danube, following on from the Parta Appraisal Programme. “This is a highly encouraging development for Danube and we are also encouraged to see additional interest in putting capital to work in Romania. With RAG making the decision to withdraw from all E&P activities, their 50 per cent. equity position has effectively been swapped into an enthusiastic new entrant that is putting an additional US$1.5 million into the asset, to further develop the Licence.